We have 1. e4 e5 2. Nf3 Nf6 3. Nxe5 d6 4. Nf3 Nxe4 5. Nc3 and this is Petrov, Caruana’s pet defence. 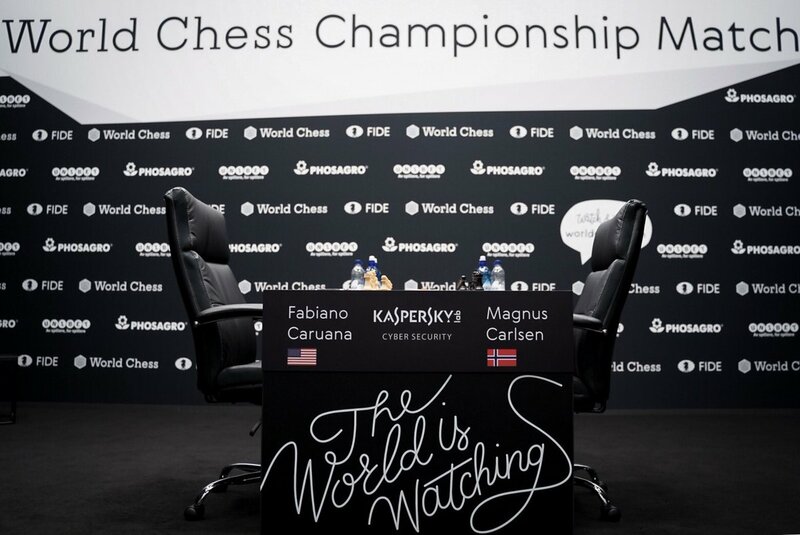 It was expected to see it from him, the question here is if Carlsen’s team found something new. 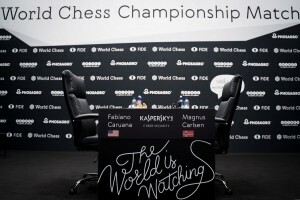 Ten games and ten draws so far at the World Chess Championship. Many are contemplating the possibility that we are going to have a classical world champion without winning a single classical game. Game 11 is today and this is the last game with white for Carlsen. The stakes are nerve wrecking, will we see another draw or a player will cruise to a victory at the very end of the match?